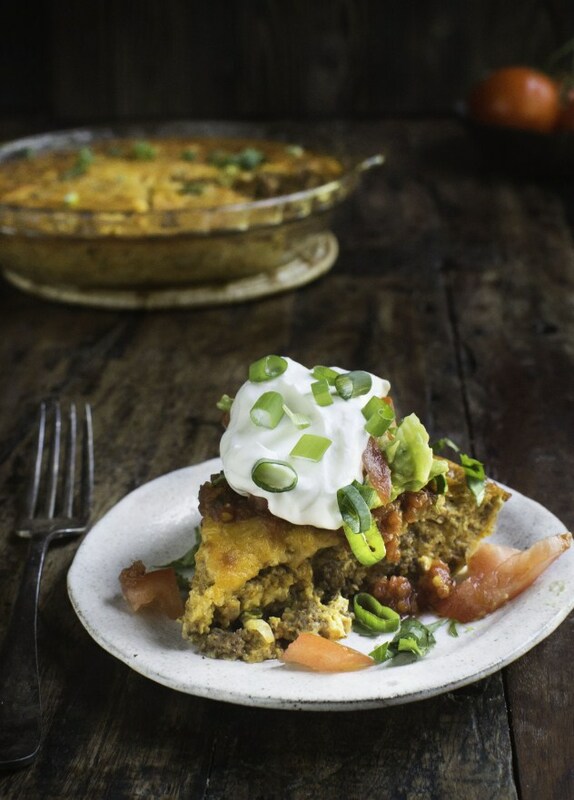 This Low-Carb Crustless Taco Pie makes an easy spicy dinner. It's crustless, so not only is it low-carb, it's also gluten-free and grain-free. This crustless quiche can work in low-carb, ketogenic, diabetic, Atkins, diabetic, and Banting diets. Preheat oven to 350º Fahrenheit. Prepare a 9" pie pan by greasing with butter or spraying with coconut oil. Bake pie in preheated oven for 35-45 minutes or until the top is brown and the pie is set. Allow to cool for 5 minutes before serving. Serve with your favorite taco toppings such as salsa, sour cream, guacamole, sliced green onions, or whatever else you like!